Helped transition the homeless into self-sufficiency: 40 working families and individuals were provided an apartment and life skills training through our Eagle's Nest Transitional Housing Programs. Provided 769 food-insecure children in the Rowan-Salisbury School System with food for meals over the weekend. 52,490 Volunteer hours, worth $1,206,751 helped make this all possible. *All data is for our fiscal year ending June 30, 2018. Served the hungry: 99,645 prepared meals were served in Jeannie's Kitchen. Fed the hungry: 777,422 pound of groceries were distributed in 11,042 household visits. Clothed those in need: Distributed in 5,971 household visits. Prevented Homelessness: $877,421 in financial assistance vouchers were issued to 3,836 households in crises to prevent evictions or utility disconnections, and to provide for prescription medications. Sheltered the homeless: 825 different men, women and children were provided 28,396 nights of shelter services. Barbara Williams is a survivor, even when the odds are stacked against her. She worked in the textile plants for 25 years before joining her husband on the road as a truck driver for 10 years. When he died suddenly, her world fell apart. She returned to work in a textile plant, only to lose her job as most of the mills closed in Rowan County. While looking for work, her van broke down and she could not afford to fix it. 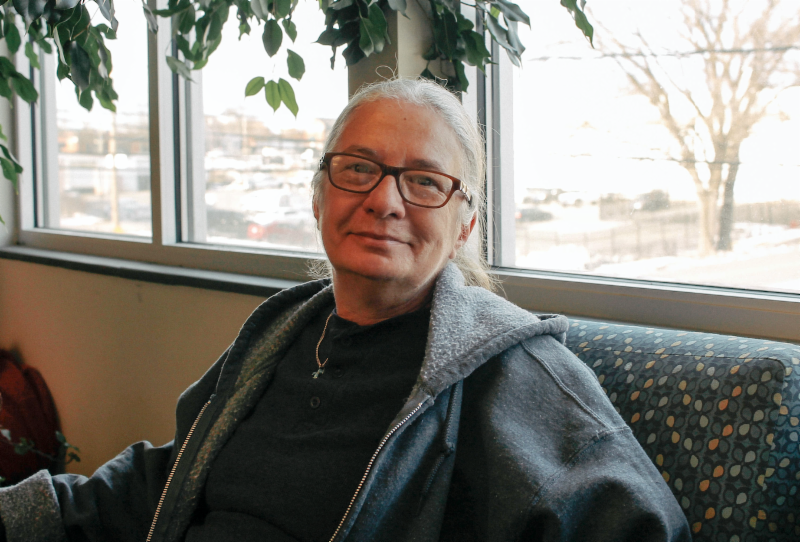 When Barbara’s money ran out, she sought help at Rowan Helping Ministries’ homeless shelter. “I was grateful it was here. It was the first time I had ever been homeless in my life,” she said. Encouraged by shelter staff, Barbara enrolled in the North Carolina Manufacturing Institute’s program to become a certified production technician. Her age, her bad hip, and her lack of transportation and a computer were obstacles to her success, but she dealt with each challenge so that she could complete the class. At the end of the program, Barbara not only received her diploma, she collected the top award as class valedictorian. Barbara’s case manager had helped her get approved for disability income and she saved enough money to be able to move into an apartment earlier this year. Once she recuperates from hip replacement surgery, she wants to return to work doing something that will interest her. With odds now in her favor, we expect her to conquer that goal. Five months ago, Richard Elliott stood at the entrance to the homeless shelter contemplating a life-altering decision. He could wait several hours in the cold weather outside to see if a bed became available in the shelter for the night. Or he could spend his last $12 on alcohol and allow the sadness, disappointment, and loneliness of his life to slip away. 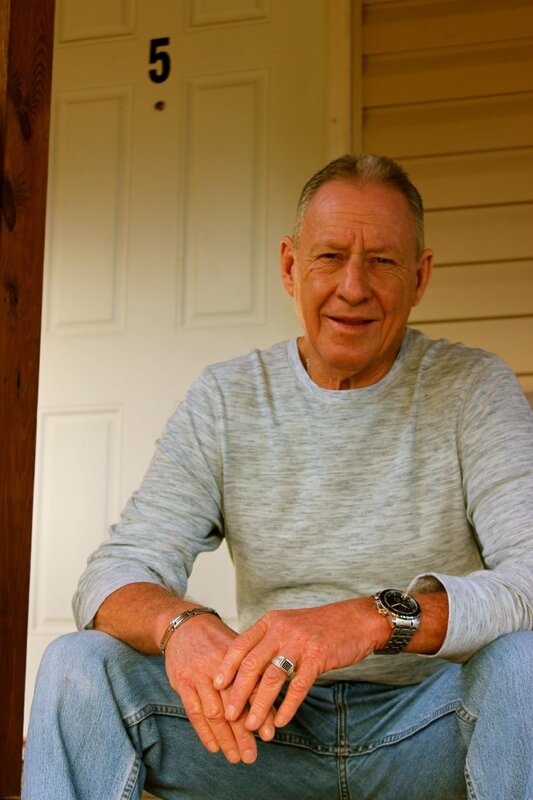 Richard spent a long time thinking about his life – his years in the military, the marriage that eventually ended, his 3 children including the precious son lost at age 6 to illness, his eventual slide into alcoholism, depression and now homelessness. Then he thought of his adult son and his two beautiful grandchildren, whom he wanted so desperately to be allowed to see again. And he made his decision. Glancing at his watch, he realized it was time to check on whether a bed had opened. He stood up, went inside, and stepped into a new life that would evolve at Rowan Helping Ministries. Today, Richard is ten months sober. He has a job as an HVAC supervisor for a company that owns several Rowan County hotels. He lives in Rowan Helping Ministries’ transitional housing program, Eagle’s Nest, while he saves his money for a new home and works to prepare himself for independence. The highlight of his recovery came two months ago when his son and two young grandchildren drove to Salisbury for a weekend visit. Now that they have reconciled, more visits are planned. Michael Dawkins abused drugs and alcohol off and on for years, but eventually his lifestyle began to affect his work performance. A short time later, his girlfriend left him, telling him not to follow her to Milwaukee until he was clean. Michael tried to end his substance abuse, but realized he needed to change his environment to be successful. “I knew I needed to stop the alcohol and drugs. To do that, I needed to change the people I was hanging out with,” he said. He moved here from Atlanta to get services at the VA Hospital. He didn’t have enough money for housing, so he came to Rowan Helping Ministries for shelter. He attended outpatient classes for substance abuse, joined an Alcoholics Anonymous group and got a job at the VA as a housekeeper. Two months ago, he was able to get an apartment. Michael is thankful for the help he received at the shelter and now tries to pay it forward. He comes by the shelter to sit and talk with guests outside and encourage them in their journey to change their lives. Michael is not far away from being able to make that trip to Milwaukee.